Sometimes no matter how much I try, my head is louder than my mind. Sounds crazy, I know. My mind is what I attribute the thoughts and ideas that come out and are wise mind justified. The term "my head" is usually used when what it produces is ineffective and not even close to wise mind justified. So, again, my head gets loud sometimes...really loud. My mind tries to match it's volume. At times though, it doesn't matter how much I can turn up my mind, it doesn't seem to be enough. 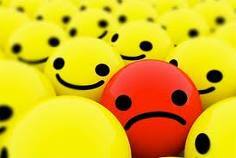 The worst part of it is this, when that happens the ideation always turn towards suicide. My insides twist and turn...and fight. It's as though I am having an out-of-body experience. I can see myself waffling back and forth between, "I can't do this anymore" and "MJ, Love yourself enough to keep going!" 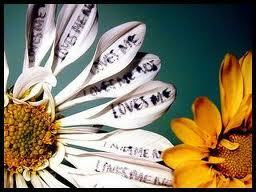 The petals are falling off of the flower - which petal will I land on..."love me not"? 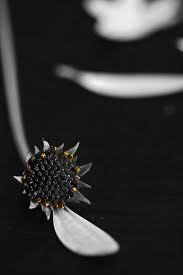 Now, it is our job to make sure that every so many petals a skill can be found. It isn't as though we will have a life that suicide ideation will never be there. That would be the best case scenario of course, but it isn't realistic. It may be years and years between such cases but realistically, we are not fighting the occasion, we are fighting what we do about the occasion. Do we carry out the plan in another failed attempt, only to keep building to the time that we actually accomplish the worst? It would be like standing out in a rain storm screaming at the sky to stop. We will be soaked through to our soul, cold and shattered. Our voice will be washed away and lost in the storm and we would have accomplished what? Nothing but more pain and suffering and it will still be dumping buckets and buckets of rain whipped up in a frenzy and pelting our face with razor sharp force driven hard by the winds. Our protesting and screaming will have accomplished nothing... just more pain. Just more suffering. What we can do, is construct some form of protection from the rain storm. Be sure and dress ourselves warmly, cautiously bringing our umbrella where we go. So when we do find ourselves caught in the storm we will be able to withstand the crushing winds and torrential rain. We will still get wet but we won't perish in the storm. I think it is really important to remember this. It is part of being kind to ourself. I don't need extra shame when I realize that these ideations have come back. They are already haunting, I don't need to add insult to injury and start tearing myself apart for feeling it again. But when I start pulling on those petals, I will get to the one labeled "Opposite Action", "call a support person", "take a cold shower", even..."check self into the hospital". There is nothing to be ashamed of here, keeping ourselves safe is our responsibility. Not that of our support persons. I take that responsibility very seriously. I celebrate how long it has been since my last hospitalization, yet I do not refuse that as an option for the future. I am diligent about record keeping. I know how long it has been since the last attempt, how many times in the course of a year I have engaged in target behavior and how often in a months time I have had engaging urges. I have three years worth of calendars with markings on every month. I celebrate by looking over them and seeing for myself the progress. The changes. The last attempt is many moons away, a different life-time. Since then, I have had to use the hospital only twice to be sure and keep myself safe. Each of those seems like a life-time ago too. When I look over my calendars, honestly I don't even recognize that person. Life now is so vastly different from then and I know that if I pluck at those petals and keep going until I land on "love me not..." I will be sucked back to that life and I have nothing in common with that girl.